Certificate in MYOB Bookkeeping training course in Perth (2 days), or online MYOB Bookkeeping course. Applied Education is a PC-based business and we are unable to support issues relating to the Mac operating system. Please be aware that all course materials are written and designed for the Windows version of MYOB. We can include access to a Mac version of MYOB Student Edition, but please be aware that if you select this option, the data files required for some units and options available to you may be different from the manual. This will not affect your grades and assessors can still mark using the Mac version, however there will be significant differences in screenshots and some functionality between the two platforms. really informing and interesting but more retaill based. Informative and simply structured. Very enjoyable and well worth the time.Experienced trainer. Course Facilitator is excellent and is able to deal with students at multi levels of learning. – Good course and structure. – Content covered is suitable for those who have not used MYOB before. As someone who has used MYOB before, I felt the course didn’t go in as much depth as I would have liked it to. As an accountant who needs to use Myob on a regular basis and understand the recording of transactions much more, I would have liked a more in depth look at such areas. – Marnie is a great instructor as was very happy to help those who were lagging behind. Appropriate content for all levels of experience with MYOB and book keeping, although if i’d had no hands on experience prior, i think id have struggled to keep up with the concepts. Might even have appreciated a week between days to apply learnings at home / office ? I have a greater level of confidence. Thanks Marnie, i’ll probably be in touch, your additional advice relevant to me was great. Marnie really made this course enjoyable! Bit apprehensive at first but her friendly, positive attitude made me feel so comfortable. Having the book to go along with aswell as the demonstrations was very effective for me and you are able to go back through the texts whenever you have an questions or issues. For someone like me who has no accounting background etc i found that i was still easily able to follow along. thanks! Was very useful and learnt a lot. very good course (although I’m a bit slow at typing so found it hard to keep up sometimes. I do feel confident about using myob at work though. The teacher Marnie was great very enthusiastic, but I think that the course is too crammed, needs to be spread out over at least a week. I feel like I didn’t retain much information or as much information as i needed. The course was great and very imformative. Prehaps it could have gone for a day longer so more time could be spent on certain parts. I found that the content covered is quite good and that the teacher was helpful and engaging with a genuine interest in the subject, but the course is way to fast for my personal learning style. I find that there is too much information crammed into too short a period of time. This valuable information needs to be taught over a much longer period of time to be effective and worth it financially. Very helpful. Real life examples and tips. Marnie was great as there is a lot of content in this course. Would recommend to anyone starting out. I am looking forward to putting this into practise at work. I found the course well presented and very informative. Teacher was extremely helpful if I had any questions and made sure I was happy with the answer before she moved on. Yes it was fast paced but I am confident that I can go away and prepare my accounts for my business. Good course, easy to keep up as I personally had general knowledge of MYOB. I have previously done a MYOB payroll course as well. I have learnt a couple of knew things but think I need to do the Advanced Course as well. Great for beginners. Teacher was really friendly and helpful. The course was comprehensive and covered all the categoies that I require. I felt we could have spent more time on BAS and reconciliation and less time on spend money and cash transacions. overall though I found the instructor knowledgeable and cleear and concise with her training methods. Great for beginners wanting to learn MYOB. As I’ve worked with MYOB previously I probably need to look into an advanced class. Marnie is fantastic and highly recommended. The course covered alot of great info and Marnie answered any questions we had for her. The only negative for me was the example was based on a retail store and the company i work for (dental clinic) is set up quite differently. I found some things hard to relate to my workplace. Generally a great course. I have enjoyed the course – Marnie makes you feel relaxed and not apprehensive in asking questions. I will race home and start to use some of the new found information tonight. Many thanks. I have found the course very informative. As I am very new to this system, I have gained vast knowledge. For me some parts of the course was hard to keep up as it went a bit fast, but that is because again this course is very new to me. All in all I was happy with everything. I found this course to be very informative and in depth. The classes were presented clearly with assistance provied if you needed help in certain areas in which you were stuck. It would be great if we could get a full practical exam of what was covered at the end of the day using the program rather than on paper (mock company with a number of scenarios). Overall a very good course. Marnie was extremely efficient, approachable and knowledgable. This user friendly course is definatley one i would reccomment to others! After completion of this course I know I will be confident and compliant to apply these skills in my workplace! I found this course quite informative. Thank you Marnie for answering my questions relating to my MYOB at home. I am interested in learning more and might look into the advanced course. Very helpful course, goes into detail the little things you will not pick up by doing it yourself. Very Well presented – Maybe a little to fast, but appreciated that there was a time restraint, Enjoyed and hopefully will use in the future. I found this course very helpful. Thanks a lot. I love how Marnie delivers the material. Everything basic is in the 2 days course, just have to make my self always catch up the step by step or I’m lost haha..
i FOUND THE COURSE VERY HELPFUL. I GOT WHAT I NEEDED OUT OF IT. it is very helpful to me, and the cousre has open my eye to expened my knowledge.the course has improve my skill for the work. it has mde me to relialize i still has long way to go . but i do confidence myself. Feeling a little overwhelmed but looking forward to practicing all this back at work. Hopefully it will come together. BRILLIANT COURSE – HAVE LEARNT A LOT. Marnie taught the 2 days Myob Bookkeeping / Payroll course. Marnie is a great teacher, helpful and explanatory in her descriptions. I would recommend this course to any beginner Myob users. Learning starts with the basics and this course definately focuses on this. This course has been very helpful and straightforward to follow and learn. Marnie is an amazing instructor – she teaches well and also answers all our questions. Thanks Marnie! Currently using MYOB but was really informative and was good to fill in the things that I wasn’t sure of. Good presenter, very patient and explained everything very well. Would recommended it to anyone who was interested in learning MYOB. This course is very helpful to me. I learnt lots of knowledge that is not on the book and all my questions were resolved. Marnie is really a patient teacher, thanks very much! This introductory MYOB course was great. The course content was very relevant to everyday application and was faciliated at a pace that suited all attendees in the class. Marnie’s facilitation skills were excellent with great examples and everyday applications. Would highly recommend this course for anyone who has limited MYOB experience and would like a very broad overview of all aspects of MYOB. The training facilites (room, equipment etc) were fit for purpose and very well setup and suited to this course structure. Having come into this course with absolutely no knowledge of what MYOB even looks like, I have to say that Marnie did a great job making it simple and easy to understand. The course booklets are informative too. Thanks applied education! The training is easy to understand. Trainor is good. I have learned and understood a lot. Very comprehensive and helpful, Marnie is a great teacher. I just wish the course was a little longer so as to consolidate everything I learned, as there is quite a bit of theory involved. A well structured course with relevant and interesting topics. Marnie is a great trainer, worked well with through group and provided clear and concise direction and feedback. I found it very relevant to what I was looking for, Marnie was a great teacher. very informative, but helps if you have some basic back ground knowledge. Great course, teaches alot about Myob for those people who know a little or nothing about Myob, goes through the steps and the lecture lets you feel free to ask any questions about it and helps you in however they can, also makes you feel like your part of the class. I found that some of the course content was not relevant to me as I was not starting up a business from scratch, however the parts that were relevent were very helpful and informative. I would have preferred to be in a class of people that were not needing to start up a myob account and were just wanting to know how to use/manage the system day to day. The course was very informative and found two days was plenty to take it all in. I feel as though more time could have been spent on doing your own BAS (explaining what it is etc) and more diverse examples of using the different tax codes would have been helpful as well. Marnie answered all questions in great depth and was very aware of each students abilities. very informative. looking forward to Adanced course in April. A good start-off course for someone with no background of MYOB. Trainer was really helpful and friendly and always answer the questions in detail. Perhaps more hands-on activities could be more useful. The course was great with a lot of useful information! Marnie was wonderfully patient and answered all the questions with a lot of great explanations. Content and presentation was excellent. Perhaps screen participants on their book keeping /accounts knowledge before enrolling. Absolute beginer with no MYOB experience. Understood the course very well. Felt a bit rushed however the teaching & course content was great. I found the course extremely informative. Alot to take in during the two days, but I found Marnie our instructor very easy to understand and a great teacher. I look forward to aplying what I have leaned at our business. I’ve learned few new tricks, which was great. Marnie was amazing with all aspects of this course. Her knowledge of MYOB was very informative and she answered all questions that we put to her. I would be very happy participating in any of her classes. Fantastic course really informative the only thing I would want is the course to last a day or two longer just so we can go a little more in depth. Teacher (Marnie) extremely friendly and approachable. Lots of information to take in over 2 days but it was quite comprehensive. Great teacher – lots of patience. Practice at home would be required though, just to make sure you can remember it all. Overall, I would recommend this course for entry level MYOB. The course was very helpful. Teaher was amazing. I do think that it goes to quickly it should maybe be held over 3 days as not getting enough practice in learning processes. Overall very happy maybe should have more mini tests hroughout the sessions to see if students have grasped the techniques. The training was really good and Marnie was very helpful and answered all our questions. Was good but there was not enough time. I thought it was rushed on the 2nd day. for me personally working in admin It covered more from a retail/service point of view which i will not use in my job role. Marnie was approachable and very pleasant. Marnie was an excellent trainer and I found the course to be extremely helpful, answering most of my problems. However, if I was a complete beginner, I think the book-keeping section could probably run over two full days and the Payroll run as a separate course. I should have had a basic knowledge before the course. Some topics are overwhelming and I found very difficult. But not knowing anything about it, it got me started. I thoroughly enjoyed this course and Marnie was a fantastic teacher with a wealth of knowledge and a friendly, happy person which made my learning experience pleasant, also she was willing to help with any personal queries that i had. Only downfall as a myod virgin i think the course could have been over maybe 3 days as i felt a little rushed with certain areas. Good course overall. 2 days is too short to cover the entire module. Too much info to absorb in 2 days. Dan, the instructor has excellent knowledge on the software and other accouting info. Course was very informative. A lot of information in 2 days. Should have a session for FAQ seperately. A good start for someone looking to do Bookkeeping. Friendly trainer. A good overall look at the software and bookkeeping processes. A lot to learn and probably not enough time to cover thoroughly however well presented. The flexible approach to assisted each person has gained a good deal of knowledge. A lot to take in during the two days, but I found it very easy to understand and a great teacher. Course very informative. Overwhelmed by the amount of information to be taken in over 2 days. Course leader excellent! Training course layout was very easy and simplified, MYOB was very user friendly. Thanks to Marnie Dalwood our teacher was very self explanatory, willing to help and assist in every way. Marnie was very informative and open to questions which was great. Course was detailed but would be beneficial if the software used in sessions was an upto date version. The course was very comprehensive and well paced for advanced and novice users. But it would be better if the software was up to date because MYOB is now more user friendly and the user interface has changed significantly with all the updates and advances. Course Leader excellent, Covered alot during two day course, very informative and will apply alot to our company. Marnie is a very good teacher. Patience should be her second name. She guided us with patience over the two days and made sure everyone was at the same stage before moving on. The course was really good in its content. Easy to understand and straightforward in its presentation. Excellent and value the practical tips. Slightly too fast as I am not a current user of MYOB. Very useful and Marnie is a very confident and knowledgeable trainer. Would recommend to anyone. Very informative. Being a ‘self-taught’ user of MYOB, the course has provided me with the confidence to know that I have been on the right track. Marnie as a trainer – excellent delivery, very knowledgable with a lovely personality. course content could be a bit more in depth and focus on service industry and not just retail. was provided with great material to be able to use at work. The teacher was very good and understanding of each students learning level. I would recommend this course to someone else. Marnie – excellent presentation, individual assistance when needed, excellent knowledge of subject, friendly,good location, Food & coffee very adequate. I found the course very informative and hopefully all the information we received wil make more sense when we get on to my own program. Marnie was a fanastic teacher. very helpful, friendly and patient. A great overview of MYOB and how it functions. As I do all aspects of the accounts for the company, all the areas covered was helpful and informative. Being able to contact the lecturer after is also a bonus as live situations aren’t always predictable or ‘in the book’. Marnie is so informative and helpful. The course has a great layout and is very understandable. I highly recommend Marnie and the course to anyone starting and current in the office and managerial area of all businesses. I find Marnie very informative and professional. The course has a great layout and I would highly recommend Marnie and the course to anyone starting and already in the office or managerial area of all businesses. Well delivered course and I now feel very comfortable with the basics of MYOB. The only suggestion I would make is that the length of the course could be reviewed, and maybe extended by one day. I felt that some of the topics were rushed to meet the schedule. Admin and facilities were great. I would and will highly recommend her to people. I hated school and struggle with study, lectures and learning from reading. This course and Marnie, our trainer has been my first positive learning experience as an adult and I would recommend it to anyone looking to learn Myob ! Very good course the lecturer was very helpful with any questions we had and helped us along the way. Would come back again for another course. Facilities are brilliant for learning, staff are very friendly and helpful on initial enquiry. Course is very informative, but sometimes moves a bit too fast in some areas, however instructor is more than willing to go back over and explain. The instructor was also very easy to listen too (didn’t put me to sleep) and explained things well. I would definitely book through this learning facility again and recommend them. I found the course very information, I use MYOB everyday and this course has provided me with ideas of doing things in a quicker more efficient manner. I shall be reviewing certain parts of my MYOB files and look at implementing ways Marnie has presented in data inputting. I found the course most informative. Marnie is patient and attentive. Great intro to MYOB, and comprehensive course manuals. this course is very informing, lecture made it easy to understand as I have never used myob before, lecture was great at explaining our way around this program also very impressed on arrival of welcoming mints and lunch included, with a great tearoom. great course easy to follow and understand. Very informative and easy to grasp the information. Before the class, knows nothing about bookkeeping nor accounting but left the classroom, feeling confident of doing my own books! Have ordered DVD before but nothing comes close to Marnie’s way of delivering and teaching! Happy to go on to MYOB advance with Applied Education. I have entered this course with no knowledge of MYOB, I have enjoyed the two day and egger to gain a position with a bookkeeper and continue my future in bookkeeping. MYOB is very easy to learn and the navigate around the station, Marine is an excellent and impart a lot of knowledge to me. I look forward to coming to additional course and increasing my knowledge. Excellent course and very comprehensive! Marnie’s experience with MYOB is very outstanding…very recommended course for beginners. In general terms the 2 days course is reasonable useful. I would recommend to update the book we use in class, and also for the people who doesn’t know anything about MYOB an accounting, they should strongly recommend to read in advance some basic accounting concepts. Fantastic course, looking forward to getting started!! Great course, great lecturer, very informative and has helped me brush up on my MYOB skills. Lecturer is great. Few times felt bit lost and could have done with more time. Didn’t ask questions as wasn’t sure what to ask. BUT I feel ok to go and try MYOB. Marnie is an excellent instructor with a lovely demeanor. Good course if you’ve never used MYOB before. Could go more in depth for those who’ve had some exposure to the program. The course was great, the facility was very conducive to learning. Marnie brings a wealth of knowledge and expertise to the way that she delivers the course information. I would recommend this course and Applied Education to anyone looking to pursue a career in book keeping. Good but could do with better note taking advice and note paper should be provided. Course outline is detailed and well set out. Good facilities and teacher is clear and has a sound knowledge of the program. Would recommend to anyone that wishes to learn the MYOB program regardless if they have previous accounting program experience or not. This course is very useful and let me know bookkeeping with MYOB shortly and effectively which i am happy with; however, there is not enough practice for us to review with what we have learned in the class. Excellent course. Well explained and easily understandable. Very informative. Great for anyone starting out that hasn’t used myob before or needs a refresher. I enjoyed this course and found Marnie very easy to follow. Her knowledge of the subject matter seems very thorough and she is able to relate functions we are learning to real-life occurrences in the business world. If anything could be improved, it would only be being able to spend a little more time on each segment. I found the course to be very intense, but informative. Marnie, you taught a very well informative 2 day course on Myob. 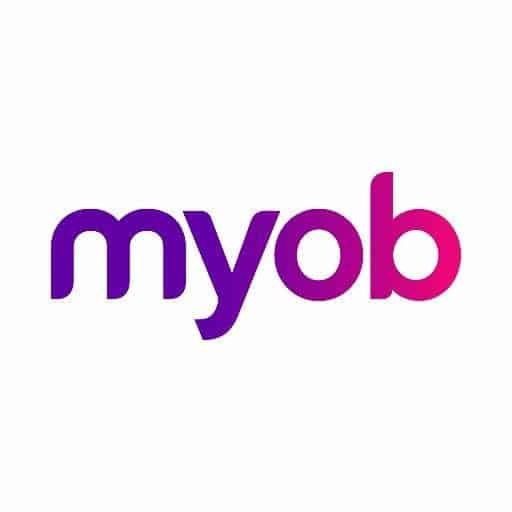 I learnt a heap of new material and am feeling alot more confident to use Myob in my workplace. Thank you Marnie for being a smiley, approachable tutor. Great course that filled in a lot of holes in my MYOB experience. The course was easy to follow and Marnie was very helpful and helped whenever needed. I have a great understanding of Myob now after not knowing anything. Thanks! Even if your accountant says that the course isn’t necessary – DO IT! Hopefully it’ll be worth it’s weight in gold. Marnie is a very patient teacher whose knowledge and tips are invaluable. I am no longer afraid of MYOB! I very happy with this course. Thanks Marne. Marnie, you’re very good in explaining the basic 2 days MYOB training and I’ve gained more knowledge now in MYOB an a bit confident in MYOB. Having not had any experience with MYOB, the course was a great introduction to using this accounting sysytem. Marnie was clear with explanations, and patient to answer questions if we needed clarification. A great teacher too !! marnie explains everything very well , Marnie takes the time to show you and explain what you have done wrong which is great. thanks for teaching me. I am very happy with this course thanks Marnie!!! Great course which gave a good insight into using MYOB. I found the content very beneficial, easy to understand and Marnie was a great facilitator. Marnie is very patient and explains everything really well. She doesn’t assume prior knowledge which is bery helpful. Good course. If I get a job out of this, I will come back and re-rewview this to 5 stars. Great course, thanks Marnie for being keeping us on our toes with your different scenarios to practice what we learnt! You are quite correct – learning from mistakes is the best way to learn (in this case, was learning what not to do, rather than the stock standard method of rote learning the ideal case). Facilities are great, course is comprehensive and Marnie is delivering it in an easy to understand, approachable way that makes a dry topic, very interesting. Enjoyed the course – learn’t a lot. Marnie made things easy to understand. Facilities were great. Computer room and facilities were great. Instructor was very flexible and practical which was fantastic and gave some great hints and tips for everyday MYOB use. Lunch was also great down stairs at the cafe. Facilities were great. Marnie was helpful and comprehensive in her knowledge of MYOB. Looking forward to using MYOB and learning more. Lunch downstairs was excellent. Thoroughly enjoyed this course, can walk away with a better understanding of MYOB. Marnie explains the course in a easy and understanding manner and very easy to approach with questions. The course was very interesting. Marnie was great and delivered a rather dry topic in an easy to understand way. Thorough course, learnt a lot in a couple of days, delivery was excellent, Marnie was excellent and her wealth of information was greatly appreciated. Facilities were very efficient, would recommend this style of learning and class size was excellent. Need to work on air conditioning as cooler size is to large for room. The course was interesting and very helpful. Marnie did a great job. Perhaps an email to students before the course outlining what is provided (e.g. equipment included, food included etc) would be helpful. Otherwise all good! Marnie is great and answered any questions I had 🙂 All i would suggest is making sure that students meet the prerequisites for the particular course they enroll in so that the day/s run more smoothly, not too many stops for the students that cannot keep up. Computer room was comfortable and facilities good. Marnie has an excellent working knowledge of MYOB and delivered the training well. The pace was perhaps too quick for some but overall learnt a lot. I found he course to be well structured and followed sound accounting practices. The teaching method was relaxed and enable good interaction to ask questions or seek clarification. The books are well set out and will provide a sound source for future reviews. I would strongly recommend this course to any one who is using MYOB. I enjoyed doing the 2 day MYOB course, I learnt a lot considering it was 2 days. I now feel confident to get started in MYOB… and thanks for the coffee machine! I have found the course to be very informative and well planned. Marnie our instructor was fantastic and explained everything very well. Venue and food were excellent as well. Thankyou. The course was very interesting, practical and helpful to the fullest extent. I have found Marnie as a good trainer and she was so friendly and professional. I would suggest any people intend to work in accounting field to do this course. Great course – thorough without being too long. Great trainer – friendly & relevant. Great location – easily accessible. Marnie was a great teacher and she took the time for each person to help with either their questions or show them how to do the excerises. The facilities are excellant and would recommend this cousre to everyone. I would definately recommend this course, whether you have never used MYOB before or have some experience. Teacher is fantastic and adapts the course to the entire groups needs. Well structured and works through at a great pace. We are very well looked after and its a comfortable learning environment. very happy, Marnie is a brilliant teacher and i have learnt a lot!! This is a good intro to using MYOB Classic with a good quality presenter. Love the coffee machine. Highly recommended trainer as course is presented in a welcoming environment. trainer progresses at a pace that allows the individual needs o the attendees and relates information to individual working backgrounds. Curse information provided prior to applying was presented very efficiently and all staff have been very helpful. Able to walk away from this course with a good understanding of the functions of MYOB in addition to being shown many shortcuts along the way. Great intro to Myob. Really enjoyed the course. Classes were well planned and staff was great. May have even help me get the job at Perth Renovation Group. Fantastic course, really enjoyable and informative. Course material and presenter very thorough. Thank you for a fabulous two days! Very good course material. Trainer very helpful, friendly and patient, and willing to be flexible with the material to match our needs. Would recommend this course to anyone using MYOB for the first time. Course was very thorough and well presented. The presenter was very clear and thorough with everything we revised. Also was excellent with one on one help if it was required. The venue was very easy to access from the Perth Train Station. Inside it was professional clean and inviting with good facilities. The tutor, Marnie, was very informative throughout the course and was very happy to answer all of my questions as we went. I feel confident that I will be able to make a good start at Book keeping with MYOB in my home office. I’m happy with the course maybe could add more days by cutting the sessions to at least 4 hours. Marnie is a great teacher and easy to understand. I give an 8/10. Excellent introduction to MYOB. Trainer provided a very comfortable training environment. She was very thorough and worked in with each individual to ensure each understand the topics. Very helpful and clearly structured course. thank you for the food vouchers the cafe was good. Lecturer was attentive and skilled. facilities all good. tutors are very friendly. food was good and class in a whole was very informative. i am looking forward to book my book keeping certificate in here again. A good and thorough introduction to all the basic functions of MYOB. Well presented and practical. Marnie is an awesome instructor. Very thorough and I really enjoy the course so much. She makes the course fun and answered all of our questions clearly. The location is good too. Thank you. This is a great course for those who have no background in accounting or bookkeeping. The Trainer is knowledgeable, friendly and patient. Facilities are great for learning and the catering is as expected. lunch was provided which was a pleasant surprise. The free coffee and morning and afternoon tea was great. The teacher was friendly, the pace was fast, sometimes not enough time to write notes, but overall good. There was opportunity to ask questions. The instructor was clear in her directions. I found this course to be suitable for people who had a very basic understanding of MYOB but perhaps if someone has never seen what MYOB looks like, then another course would be a pre-requisite before enrolling in this course. It was really a great course with Manie . She did a great job with all of us in MYOB. Very good refresher for someone who has used previous versions of MYOB. Would not recommend without some knowledge of either business or MYOB. Good tips and short cuts, friendly presenter, maybe more actual entering or asking people to bring in there business items for use. Some thing’s werent relevant to everyone, it is a very good general overview. Location was great, lunch and morning/afternoon tea provided. Presenter was knowledgeable and friendly. This was a good course, lots of information to take in, it is basic and aimed towards people with little – no knowledge of bookeeping/MYOB. Overall the course was good however as I have been using MYOB for entering data for a few years I felt it was a little slow paced. The lecturer – Marnie was fantastic and happy to answer any and all questions. Marnie is an amazing instructor. she made the course fun and enjoyable. The course itself was very well structured. The facilities are excellent, love the coffee machine! However, i would have liked to spend more time on payroll and BAS and less time on sales and purchase commands. Over all i have found this course extremely beneficial and would recommend this to others. Fantastic course! The course is quite basic and great for first time users. Marnie was a great teacher and made the class enjoyable. Great 2 day course packed full of information , tips and shortcuts. Marnie is great answering all questions making the learning super easy. having done basic myob years ago and forgetting most of it, it helped immensely. Marnie kept the two days light and fun but very professional and very informative. Can highly recommend this course. Very informative and comprehensive presented in a clear and personable way. More real-life practical examples to solidify the information would be great. Marnie was fantastic! Very good and friendly teacher! Thank you so much! Very informative,very friendly staff in a clean and professional environment. Very informative and educational. My expectations for this course were well and truly met and I feel confident in implementing at my workplace. I found the course itself to be user friendly, easy step by step approach to training. All questions were answered with informative and knowledgeable responses. Having a trainer that works in the industry certainly helped with having specific industry related questions answered. Thanks Marnie. Great training environment, helpful. Now I have the information and knowledge to help me through my work. The instructor (Marnie) did a superb job, she explained the content clearly and she answered all the questions that I asked. The content was very good and it gives you a very good grasp of using MYOB for Bookkeeping. But however, if more real life examples are used it will help enable students to cement their knowledge of the content. Great Course – 2 Days of very informative, excellent course information. Trainer was very clear and extremely patient. Thanks i feel i have the skills to go forward. Marnie’s awesome, kind and patience instructor. Great course – very useful for beginners/limited knowledge. Friendly instructor(Marnie) made sure we addressed all queries and learnt tips and tricks. 10/10 for both the staff anf course content! Marnie was a very good instructor explained content clearly and was helpful too all. My only negative was we were doing training using a new version of MYob and as I was doing a refresher for old version after not using for 5 years will be a bit confusing when I am using older version which my workplace has. Marnie is great, really friendly and knowledgeable with a lot of industry experience, not just theory. A lot of tips & insights Marnie gave out that are not in the textbook. Text book a little bit of out-of-date in some sections but no big deal. The course was quite comprehensive – we covered a lot of information which seemed quite straight forward at the time – the test will be when I try doing it on my own. Marnie was very patient and able to explain processes and policies well. The course was well structured. Marnie was excellent in explaining and answering any questions that came up. Small class was an advantage. Found the class to be very informative. Marnie is very clear throughout class and is quick to assist if having trouble following along. Could benefit from a couple more hours somewhere to practice what we are learning. But other wise, very happy. This is a very comprehensive class and I enjoyed it very much. The course instructor MARNIE did a great job in imparting a wealth of knowledge and information. Was good to have a small group. Marni attempted to answer the specific questions for the organisations that I work in – thank you. The facilities were pleasant, though air con was a bit warm. The food was good in the cafe next door. All-in-all a worthwhile course. which I suppose was unavoidable..
A very comprehensive class and I enjoyed it very much. Instructor was very confident and helpful. Only negative would be that the version used for the training course was Account Right V19. I believe the new version of MYOB would have been more appropriate as it is different. However was very well run and informative. Wonderful experience, even though I use MYOB everyday Marnie gave some very helpful tips to make my job easier. I will definitely be enrolling in further Applied Education courses in the future. Really informative. Great tips and tricks to get things in faster! The presenter was fabulous and had really life experience of using MYOB in the real world. Very confident in the product and was great with all levels of MYOB knowledge. As a first time user of MYOB, I found that this course was excellent in giving me a good starting block to go ahead and begin using this system. Instructor was very patient and easy to understand. Marnie was very helpful and the course is very informative. Marnie was a fantastic instructor! Great examples and very informative- learned a lot in 2 days, looking forward to applying everything to my business. Manage to cover an overview of MYOB bookkeeping and payroll. Instructor is friendly and easy going. Short two days course but is quite informative. Wonderful experience , I learn lots of useful information, let me more understanding MYOB. Marnie was very helpful and friendly. suitable for new learner and highly recommend. The trainer Marnie is really patient and friendly. Always checking everyone, answering every question we ask. The course is really good. Found this to be a good over all course for beginners. Marnie was very patient & clear with her training. I would feel very comfortable referring to her in the future. The course was really helpful and the trainer was friendly and nice. Very informative and helpful. A very good course. The trainer Marnie was clear, helpful and careful to make sure everyone is included and on the same page. I would highly recommend this course. Very good course. It gave a good understanding of MYOB. Marnie was very helpful and she made the course fun and interesting. Very good course, I’m looking forward to entering the industry. A very informative and helpful course to allows you to easily learn. Marnie was awesome and ensures everyone knows what they are doing before moving on. I would highly recommend this course to others looking for a MYOB course. Very educational and informative. Gave a good understanding of MYOB and learnt a lot during this 2 day course. Excellent course. It gave me an excellent understanding of MYOB. Marine was awesome made it easy to understand and fun. Good course for beginners. It covers from software setup to payroll. Marnie is an excellent tutor, she is very patient and easy to follow. 5 stars for her! Very informative course and glad to have done this particular MYOB course. Feel confident that I can use MYOB now (never having used or seen MYOB before prior to this course). Marnie delivers the course really well and is anexcellent presenter. Very good course, Marnie was very helpful and friendly. The course went a little fast at times, would have liked a little more time to understand everything. Would recommend the course and looking forward to attending further courses. The 2 day course was very informative. Marnie was a great teacher – very knowledgeable and approachable. Very informative, great overview of bookeeping and MYOB. Marnie was a fantastic tutor. I’ve just completed the 2 day MYOB course with Marnie as our presenter. I found this course to be extremely useful and informative. Marnie is a fabulous presenter – very patient and knowledgeable. It’s also great to have a manual to take away and refer to in the future. Would highly recommend Applied Education as a training resource. Really enjoyed the presentation and found the course very relevant to what I was hoping to learn. Marnie is an excellent teacher and I would highly recommend this course. Amazing ! Marnie explained everything patiently and beautifully and made this course interesting. Absolutely enjoyed the 2 day MYOB course. Marnie, the trainer was brilliant. Explanations were precise, clear and easily understood. Upon returning to work I will feel more confident using the application. I would highly recommend this course if you were unsure of any aspect of MYOB. I found this course to be very informative and even enjoyable. The content is totally relevant to real world situations and Marnie is an excellent teacher with heaps of real world experience and lots of useful tips. I highly recommend this course for professionals and non-professionals alike. Loved the course and loved Marnie – she explained everything so clearly and was very easy to follow. A great introductory to MYOB Bookkeeping! I have found this course very valuable. I am a complete novice and I feel now that, after I get to play with it some more, I will have confidence to use this program at my workplace. I found the instructor, Marnie, very knowledgeable. She was able to explain things at my level and she made sure things were understood before moving on. Overall, it was a very good course and exactly what I needed to do. I found this 2 day course to be very informative. It cemented what I already knew and assisted me with the areas in which I lacked knowledge. Marnie, our Trainer was excellent and answered all queries clearly. I recommend this course for anyone wanting an introduction and or refresher on MYOB. The trainer was excellent. Would highly recommend to other students mainly because of the excellent trainer. Great course and really enjoyed it. Very Thorough course, Well presented. Questions answered. Found it difficult to shift between screen on wall, book and computer screen due to the type of glasses I wear. Lunch was excellent, Amenities were good. the two day course was very informative and as given me a guide on where to go. this was a great course and i would recommend it to friends. thanks marnie! Happy Days Thanks to Marnie Dalwood for her patients and expertise. Marnie is a great teacher and is very helpful and encouraging with everyone but i feel 2 days isnt long enough for a total beginner and because it has to go fast to fit everything in, some people got left behind very easily and others who already had a little knowledge end up spending a long time on basics and towards the end of day 2 i felt we rushed the things i actually wanted to learn more about – IE BAS and Payroll. I found this course very informative. It clarified information and taught me new things that I didn’t know. Marnie explained the reasons behind why things were done. Marnie is a wealth of knowledge and tries her best to answer all questions. The course had to go a bit fast due to overrun with questions and interruptions and it can seem like you are trying to catch up and wrap your head around. Better suited for people who are not new to accounting. Marnie welcomes questions even after the course, so I’d better check back soon! Excellent course. This was my first experience with MYOB but I now feel i have a basic understanding and will move forward with more confidence. Marnie explains everything well. Loved the layout of the 2 day course. Started with the foundation and developed further into the ins and outs. Highly recommend to beginners in MYOB and also those who need to refresh training. Marnie was informative and professional. Very well delivered information. Patient & helpful in assisting with queries. The centre was also well equipped. I found the course really useful, the way we completed all the processes from start to finish, from a sale at the beginning, to invoicing, inventory and then your BAS at the end, was really great because it helps you to understand how all aspects of the system fit together. The course is ideal for people who have had very limited use of MYOB or never used it. Marnie was a great teacher, really knowledgeable and great sense of humour which made the course really enjoyable. Would really recommend to anyone wanting to learn bookkeepingin MYOB. Marnie is one of the best teachers I have had for any accounting training – very knowledgeable, approachable and patient. Such informative sessions that I would recommend to people at all levels – those who just started their careers in accounting/bookkeeping as well as those who have been using MYOB for a few years. Great course for those who want to learn to use MYOB. Marnie was very professional, helpful and approachable. She makes you feel at ease to ask any question. Thank you Marnie! Training venue is great.! Marnie was always pleasant and approachable, very professional in every sense of her way of teaching. I would love to learn more the in depth facets of MYOB further to be able to understand more and better. Course was great! Marni made the content interesting and easy to learn. I had NO prior knowledge but now feel confident MYOB. Only recommendation would be to make the vouchers to a different cafe. Good layout course to learn MYOB. Knowing nothing about MYOB, I really have a good understanding now. Training was great! Highly recommend this course. Marnie was very helpful and patient. Very informative. Good structure, easy to follow! Very thorough and informative course using actual student MYOB employment requirements as examples. Marnie is professional, engaging, and very patient. Handbooks are great and I’m sure I will be using the 12 month email advice. It would be helpful if it could be delivered over 3 days so more time spent on certain areas. Very informative. Lots of information to take in in a short space of time. Marnie was informative and I found Myob user friendly and easy to learn. This course will definitely help with with using myob both in the workplace and for the Dual Qualification. Very informative course, however to short in time and information overload with not enough practice on each topic. Marnie was great, clear and open to all questions. Very informative course. Would highly recommend. Marnie a great teacher – helpful and patient. Great introduction to MYOB. I had never used the software and feel after 2 days that I have a good understanding of the basics of the package. Marnie is a wonderful instructor. Very knowledgeable and helpful. Would definitely recommend this course. Great Learning. Very informative. Highly recommended for people seeking information and new skill. Quite difficult to catch up at the beginning but get better as going along. Mrs Marnie was very helpful and caring. Enjoyable course. Marnie was a great presenter, content was appropriate and timing well paced. Good lunch too! Very helpful, being new to all things bookkeeping, I found it a little fast moving, an extra day would have been better. Having said that, Marnie is very helpful,and patient, always checks to make sure everyone is ok. Overall a fantastic course. Very informative course. Can’t wait to use it all. I have learned a lot of little tips from the two-days course. Can’t wait to try them out in the real workplace. Marnie is very knowledgeable and approachable. She is open with all questions and offer her help even after the training sessions. The station is well set-up. Great course.. Very informative and easy to follow. Lecturer was very helpful and patient. Decent course which covers a lot of accounting concepts as well as use of the software. Training commentary needs to be updated to match page numbers in the book. Marnie is a fantastic facilitator with extensive knowledge & an extremely helpful nature. Would recommend this course to anyone who needs assistance in the everyday account operating of their or an employer’s business. Fantastic course. I self taught MYOB and thought i knew most stuff but after this course i am leaving with some great tips and tricks on how to get things done quicker. Marnie was fantastic super approachable and very knowledgeable. Easy to follow, enjoyed the course. Unfortunately, this course was a complete waste of time for me as I already know everything that was taught. Advanced MYOB course is the one I needed to be enrolled in. Perhaps a few questions need to be asked before booking … ? Marnie was very good though. Very Informative and helpfful training. I found Marnie to be really a good trainer. Great course, Marnie was great. Thoroughly enjoyed it. An amazing course, Marnie was amazing. We learnt a lot while having fun. Marnie is very interactive and knowledgeable with MYOB. The course went very fast. Will be booking into the advanced MYOB. Very good course and i have enjoyed the course. Marnie was great, I have been out of the workforce for 10 years and found it easy to follow. Great to work in a group to listen to other peoples questions that i may not have thought of. Great MYOB 2 day course for exposure and learning experience. Would be good if allocate more time to the course. Overall, clearly explained, excellent! Thumbs up! Great course for accountants to learn the details of MYOB. Great course to attend.I have never used Myob before and I found it really easy to follow and Marnie was great. I now feel confident in using Myob in my workplace. Coming from an undergrad background, it was great to get some experience putting all the theory into practice. Found this course very informative, practical and easy to follow. Marnie explained the concepts and procedures well. Venue very good. Educational and Informative, help was always at hand if required. A good range of topics covered in a very comfortable and attractive setting. Would definitely recommend to anyone wishing to learn new skills or wishing to better already existing skills. I feel like i learnt alot about myob which made me more confident in using it. Course was informative and extensive, possibly need another day to complete however, also good if you have some knowledge of MYOB already. Marnie was very knowledgeable and easy to understand. Would recommend. Would highly recommend this course, very easy to follow, this 2 day course was very informative, super friendly teacher. happy to answer all questions. very warm and welcoming facility. Very informative. Marnie was extremely helpful, patient. Facilities were excellent. Could even run over 3 days as there was a lot of information to remember. Sometimes felt a little rushed. Super friendly teacher. Good structure and learnt a lot. Thanks Marnie, Very informative and well worth attending. Although I have been using MYOB for several years , I learnt some very useful tools to use. It has given me a much better understanding of MYOB. Thank you so much Marnie was a very informative couple of days and I learnt lots. The course is well worth the time and money as you learn a wide variety of content. Marnie was good at keeping it interesting and easy to understand. Thank you so much! Excellent experience for a beginner like me. I gained better understanding on bookkeeping and processing payroll. Approachable trainer. Thanks to Marnie! Marnie is a fantastic teacher, very patient and thorough. Enjoyed the course and looking to do more now! Excellent tutor! Marnie has been great in teaching all the way. Friendly staff and great place to learn. Very educational. The 2 day course was great for updating skills and learning to manage MYOB more efficiently. Marnie is very thorough in her explanations and is more than happy to take the necessary time to assist all. Course was excellent, very interesting, learnt a lot, I had absolutely no experience with MYOB and now feel confident to go back and use it. Marnie is an excellent teacher. The course is very helpful especially for beginners. Ms. Marnie is awesome! Absolute beginer, Marnie is an excellent tutor, would highly recommend this course to anyone. Excellent trainer. The course covered all the essentials needed to perform your job at work. Marnie, is equipped with vast amount of knowledge and experience, she can illustrate efficiently with examples relating to your workplace. Thumbs up. Great, informative course. Will be enrolling in the Advanced one. excellent course presentation, well paced and great support . This was an intense and very informative course. Marnie was amazingly patient and knowledgeable with real life examples to help us understand each section. She applied the course to all participants backgrounds and current MYOB versions. An excellent presenter. Highly recommend this course and trainer. Good course for beginners and people with experience using MYOB. Great insight on how to navigate the software. Thanks to Marnie our wonderful Trainee. This course was great and informative! Marnie was so helpful and patient – I highly recommend this course for beginners, intermediates, and advanced users wanting a refresher. This course is fantastic. i learnt so many new things about MYOB that i never thought about. Marnie is such a great teacher and is more then happy to take the time with you so you understand …. Great Course. Really liked the pace of the trainer and good for beginners. Marnie is extremely thorough and professional. Enjoyed the over all experience.